The Politichicks are a weekly web television sensation. 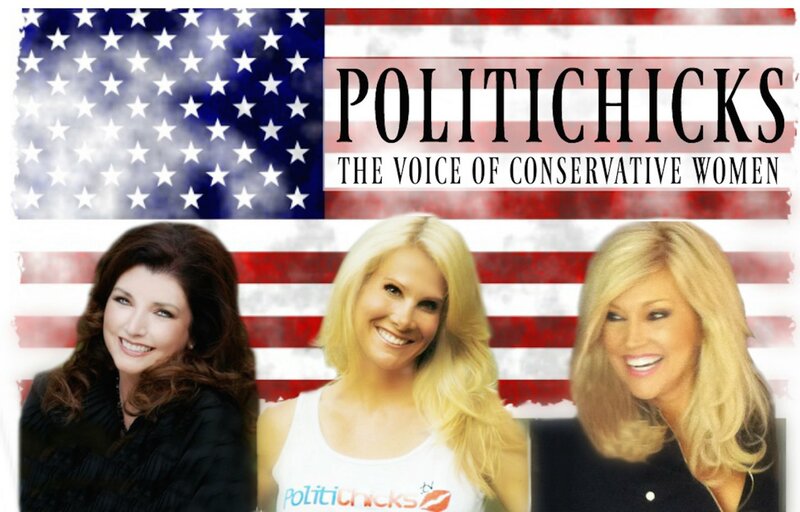 The three contributors to Politichicks.com ­­ Anne Marie Murrell, Morgan Brittany, and Sonya Sasser are all over online and traditional media. Now, they’ll be joining us for the 2016 Bakersfield Business Conference. Morgan Brittany has been a film, stage, and television star since the age of five when she appeared in two Alfred Hitchcock films, The Birds and Marny. She played ‘Baby June’ in Gypsy starring Natalie Wood and Roslyn Russell, and was one of Henry Fonda’s daughters in Yours, Mine, and Ours (also starring Lucille Ball). Morgan appeared in 3 episodes of The Twilight Zone, was Opie Taylor’s first girlfriend on the Andy Griffith Show, and later she gained worldwide fame as Katherine Wentworth on ABC’s ‘Dallas.’ Morgan is possibly one of the most rare actresses in history, having successfully worked as a child star, then a teenage star, then had a successful career as an adult television star. She also starred on Broadway, toured with Bob Hope and Gene Kelly, and can tell some of the greatest Hollywood stories you’ll ever hear—but she won’t tell them because she’s also one of the classiest stars to ever live in Hollywood. Sonya Sasser has been a writer for the organization since 2012. She has conducted exclusive interviews with gun rights advocate Nikki Goeser, Catherine Engelbrecht of True the Vote, on-camera interview with Oklahoma Congressman Jim Bridenstine, Madison Rising’s lead singer Dave Bray, and many other distinguished subjects. Sonya has been a guest speaker at the South Carolina Guns Across America rally and various Conservative talk radio shows, and she introduced PolitiChicks CEO Ann-Marie Murrell at the 2016 South Carolina Tea Party Coalition Convention. In addition to her efforts to save our Republic, Sonya is a Christian, a wife, a mother, a registered dietitian, and a fashion and fitness guru. She is infamous for being ‘that chick that runs a lot’ and loves sharing her fitness tips with others. as one of the “100 Founding Members” of the Tea Party movement and she is the mother of five.